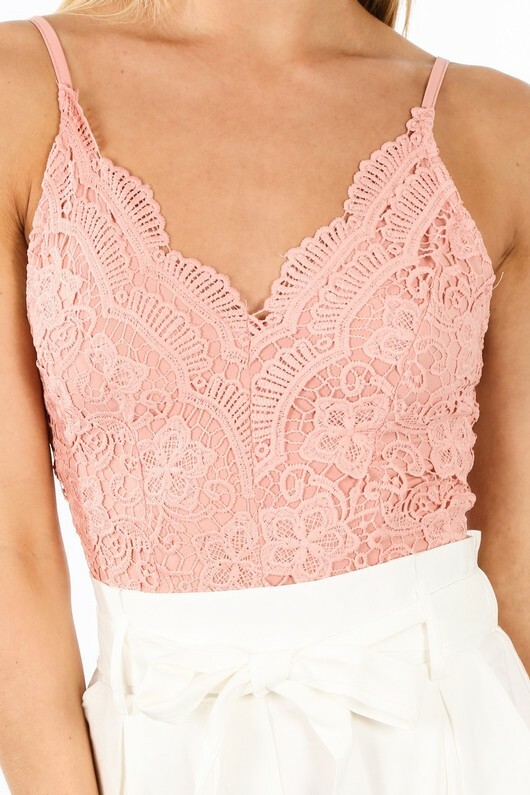 Work it in barbie pink with this pretty crochet bodysuit. This top features a scallop edge detail with a plunge front which can be adjusted by the straps. The slinky material allows this bodysuit to fit like a glove. Style with denim jeans or jazz it up with a cute mini skirt.